As the business world continuously gets smaller, communications is also getting easier to use too. Teleconferencing web service companies have become quite popular for businesses who require online business meetings. In many ways, video and audio teleconferencing via the web are inexpensive compared with traditional or modern unified communications and collaboration. Moreover, they are usually more convenient than calling cards for international calls. And the list goes on. But, there is one thing for sure. If you need a solutions for web conference calling or audio conferencing, you have a wide range of selection to choose from. Many of these teleconferencing web service companies actually offer pricing all the way from free usage to thousands of dollars. Depending on your company requirements and budget, your team will have to choose accordingly. Of course, for the high priced teleconferencing software, you will have a chance to demo or try the solutions. And, if it is inexpensive, they already might have a trial option in place. 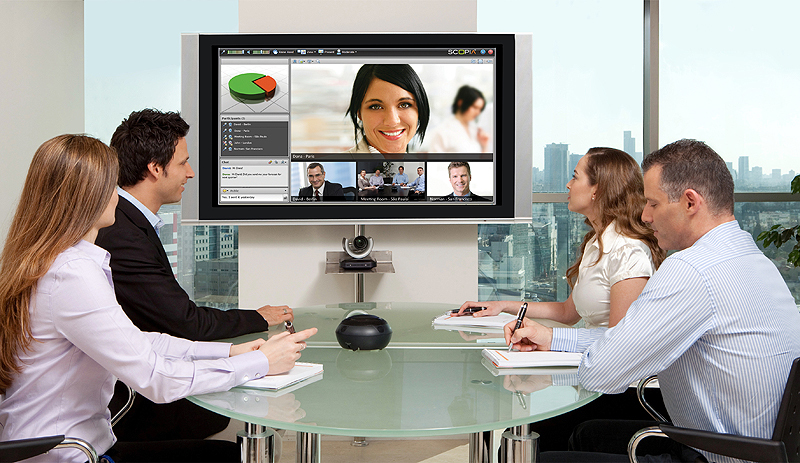 There are considerable benefits to using teleconferencing solutions at any organization. Teleconferencing reduces business travel required of employees and supervisors as well as business owners. It also saves time, which of course enhances productivity. Businesses can benefit from saving time by avoiding miscommunications via email and still having the ability to schedule meetings on short notice. That is why teleconferencing technology and other conferencing solutions are so advantageous for business. As mentioned, each business has various video, web and audio requirements, especially if you are a one man business. Of course, you are dealing with various resources and business budgets as well. So, it important to create a list of uses for teleconferencing services. By creating a list of possible online meetings, you can make an accurate evaluation of what kind of teleconferencing platform your company requires. To get you thinking, teleconferencing services can be used for the following purposes. Need to bring people together quickly? Regardless of location, you can hold team meetings, video huddles and progress updates all on a web conferencing software. This is a great way to use video conferencing to check in with team members in various locations or time zones. By doing video conferencing online, your team can get together quickly online. Anyone who sits on frequent conference calls know how long they can last. That is why business lunch expenses always climb so high. With a free teleconference service, you also receive audio conference calls. These can be helpful even if you are not sitting in front of the computer. You can simply dial into the conference call service and join a meeting quickly. Furthermore, your company might be able to save on some of its existing conference call costs. Once you have narrowed down a few companies, you can get into the features and functions your company will gain the most from. For example, would you prefer to have video, audio or both? Most of these popular teleconferencing companies will have either the whole or part solution for you. If you want to maximize productivity with teleconferencing, there are some features that are going to be absolute necessities. Make sure that no matter which top teleconferencing providers you are considering, they all offer these features. Or else, you may wind up regretting your decision. As long as your teleconferencing solution offers these four features, you will be set up for a great experience. To get started, the most efficient way is to start trialing a few companies and figure out what works best for you (and your team). After getting some experience and brushing up on your conference call etiquette, you can make a decision that is much more objective. Furthermore, you will probably be a better judge of which companies offer support that you like best. For small businesses, remember to start small. You do not want to spend too much on tools that you could make work on a smaller budget. Cash flow is one of your most important concerns as a small business, so decisions like these should be handled very carefully.